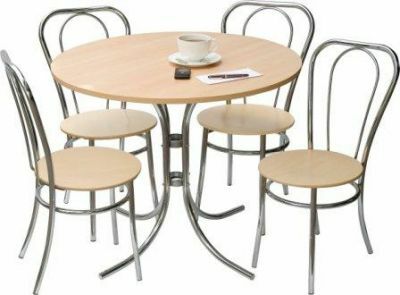 Bistro set comprising four hoop style chairs and a table. Chairs have solid wooden seats and are fully assembled. Large table with a stylish base. Available from stock. Popular bistro set, delivered with a very quick delivery from stock in 2-3 working days. Next day delivery available with added cost, please contact our team for more information on this.